It takes a community to succeed. As a not-for-profit organization, we deeply value the support of community leaders. Your generous support gives us the ability to continue to support the next generation of artistic talent in Newfoundland and Labrador. Verbal thank you from RCA during the Opening Night speech. Four tickets to opening night. Logo featured prominently in the foyer and/or in our Cox & Palmer Second Space throughout the evening, including our Opening Night reception. Your logo and a special Thank You as an insert in the program for Opening Night. Web, newsletter, and social media presence as an Opening Night Performance Sponsor. Two tickets to the night you are sponsoring. Logo featured prominently in the foyer and/or in our Cox & Palmer Second Space. Your logo and a special Thank You as an insert in the program for that night. To learn more, please contact our Communications Officer at communications@lspuhall.ca. 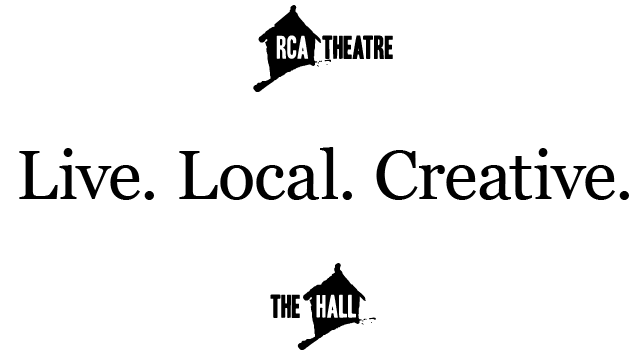 Your support is the reason RCA is able to provide resources to artists, stage productions, and offer space at LSPU Hall at dramatically reduced rates. Let’s keep working together to foster the next generation of artistic talent in Newfoundland and Labrador. We are deeply grateful to our donors. You generosity and kindness continues to make all difference in the world.